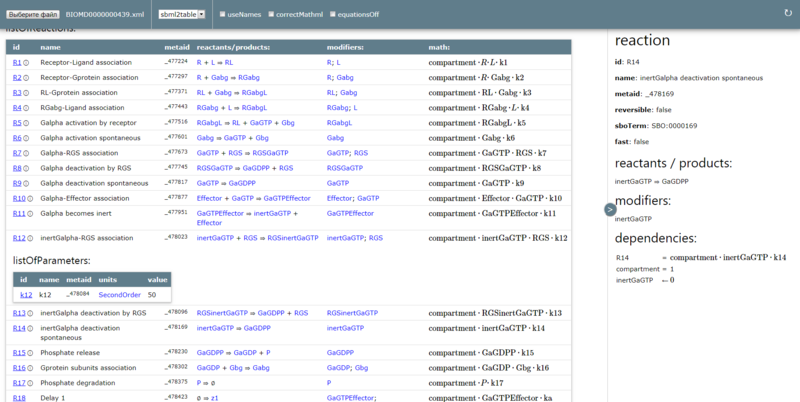 SbmlViewer is a tool for fast and easy reading biological models written in SBML format. It allows looking through model components and equations even if you have no modeling software installed. It is as simple as reading a web page in your web browser. 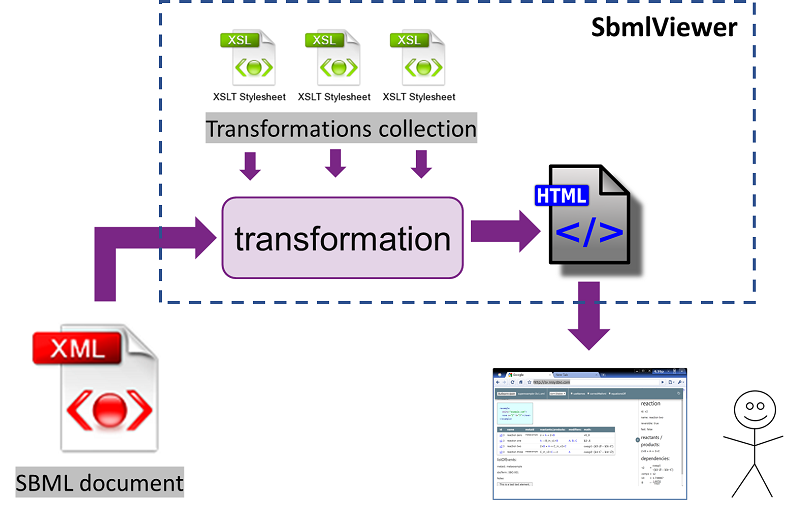 SbmlViewer never uploads your files to the server and all transformations are performed locally in your browser, so it is safe and secure for your code. SbmlViewer is open project located on GitHub. Any feedback is welcomed on Issues page. You need to share your model in human readable and compact format with someone. You cannot install you favorite tool to read and check some SBML file right now. Your software cannot read some specific SBML versions or elements like event, constraint or functionDefinition etc. but the file includes them. 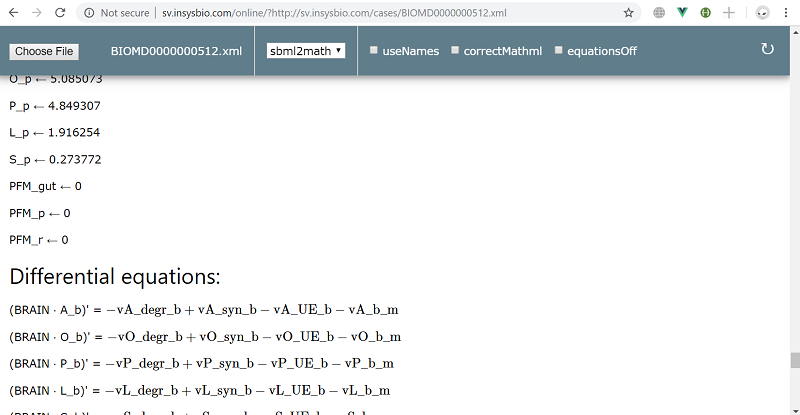 Your have some errors when importing SBML and are trying to check the model code. Drug’n’drop your SBML or click on button “Choose file” and select your sbml model. The full url above can be shared, sent or embedded to web page if you wish. SBML is a free and open interchange format for computer models of biological processes maintained by SBML community. It is used in many modeling application and can store model structure, math and annotation of elements. SBML is XML based format and designed basically for machine reading and writing.